Toppik Hair Building Fibers can instantly create the appearance of fuller, thicker hair – if you know how to use them correctly. Luckily, Hair Building Fibers are so easy to apply! 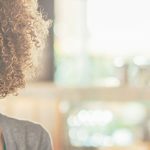 Read along to find out how to apply Hair Building Fibers, and learn tips from real customers on how to achieve a flawless application. Hair Building Fibers can either be applied by shaking or using the Spray Applicator attachment. Shaking Hair Building Fibers allows for coverage over a larger area, while the Spray Applicator allows for a more precise application. To apply Hair Building Fibers from the sifter by shaking, simply unscrew the cap of Toppik Hair Building Fibers and shake over hair to apply. 1. Dry and style hair as usual. Because of their natural static charge, Toppik adheres best to dry hair. Hair Building Fibers should be the last step of styling hair. 2. With the Toppik Spray Applicator, spray Hair Fibers into thinning areas. Apply more or less pressure to control the amount of fibers dispersed. 3. If applying Hair Fibers near the hairline, use the Toppik Hairline Optimizer to achieve a natural-looking front hairline. Insert the Hairline Optimizer’s teeth into the hairline. Then, lightly shake or spray Hair Building Fibers along the hairline. 4. Gently pat hair to disperse Hair Fibers for natural-looking results. 5. For the best outcome, use Toppik FiberHold Spray to finish for added shine and longer-lasting results. FiberHold Spray is specially formulated to strengthen the bond between Hair Building Fibers and fine or thinning hair. While Hair Building Fibers canhave a matte finish, FiberHold Spray adds healthy, beautiful shine back to the hair. Add Hair Building Fibers to thicker areas of hair for extra oomph. “Sometimes I’ll add it to my already good crop of hair which gives a super thick look as though I belong to boy band.” says Dave L.
Hair Building Fibers can also be used to disguise cowlicks. 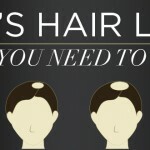 “I style my hair and then use the product around and directly on my cowlick. It makes it look like full hair is there versus being able to see my scalp,” says Christy S.
Hair Building Fibers work great on facial hair as well! “I also have trouble growing my beard in on just one spot and this helps to fill it in and it looks completely natural,” says Daniel R.
Use a handheld mirror to ensure adequate coverage. “Definitely need a mirror to see the very back of your head where scalp is showing,” suggests Diana B. 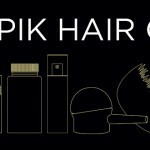 Do you have any tips on how to apply Toppik Hair Building Fibers? Let us know in the comments, and remember to tag us on Instagram at #toppikhair to show us your results! Hello, i am a 23 year old man. 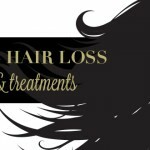 I have extremely thin hair and have setteled for a hair replacement system. I am not happy amd it is not working for me. Is there a limit on how thing my hair can be for me to use this product. Toppik Hair Fibers cling to even the tiniest hairs because they’re statically charged. For extra staying power, use Toppik FiberHold Spray after applying to increase the magnetic hold between fibers and your hair strands. Thank you. Hi can i take a shower after using toppik hair building fibers or the fibers will come off? I bought a 12g bottle of the hair fibers and the applicator. I can’t for the life of me figure out hot to attach the applicator to the bottle. 🙁 I tried turning and twisting the sifter off, but it doesn’t come off. I have no idea how to screw the applicator onto the bottle of hair fibers. What am I doing wrong? Sorry to hear that! Sometimes it helps if you squeeze the canister as you twist to remove the sifter. Was the video in this blog helpful at all? Toppik has been a godsend for me. My fine hair turned from dark brown to light silver revealing a very pink scalp. . I found that the white color was too light and the gray too dark, so II mixed the two colors for a perfect match. Now I look like I have thick hair again. Please check that my order submitted today (12/19/20170 is in powder form.